Easy Peasy Shrimp Pasta - In a Ziploc Bag! Easy Peasy Shrimp Pasta – In a Ziploc Bag! You know it’s going to be a busy day and you just don’t have time to spend a lot of time preparing a meal. You want something a little special but you don’t have time to prepare something extravagant. We’ve all been there. What to fix that will be easy? I have the perfect solution and best of all – it looks like you’ve spent time creating a special dinner. 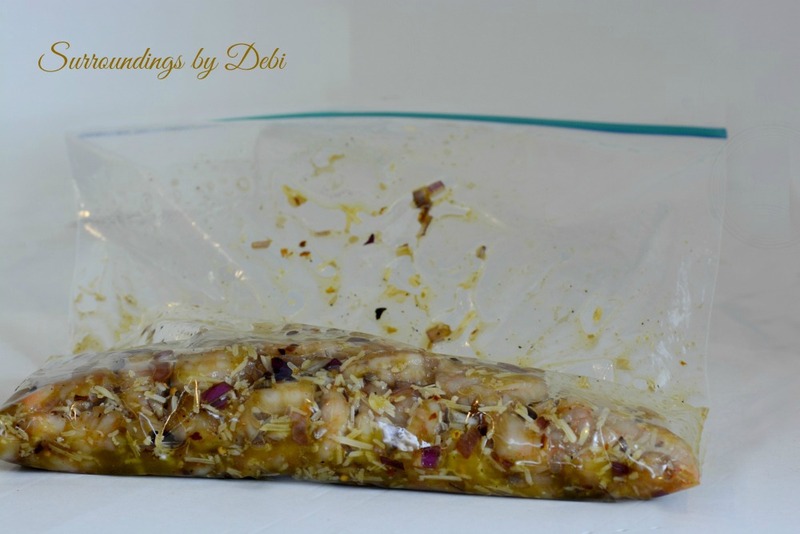 Do all the preparations in a ziploc bag! 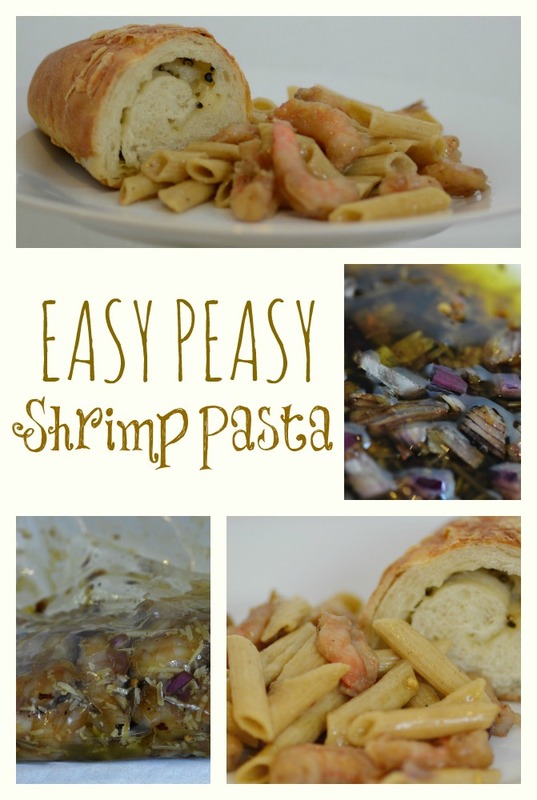 This is one of the easiest meals I have ever prepared! My husband absolutely loved it. Let’s begin by gathering our ingredients. Begin by whisking everything together except the shrimp and pasta. Place all of the mixture in a large Ziploc bag. Squeeze the contents of the bag until the shrimp is coated. Let the ingredients soak for at least an hour or overnight in the refrigerator. Add entire mixture from the bag to the cooked pasta and heat through. And you’re done! How simple is that! 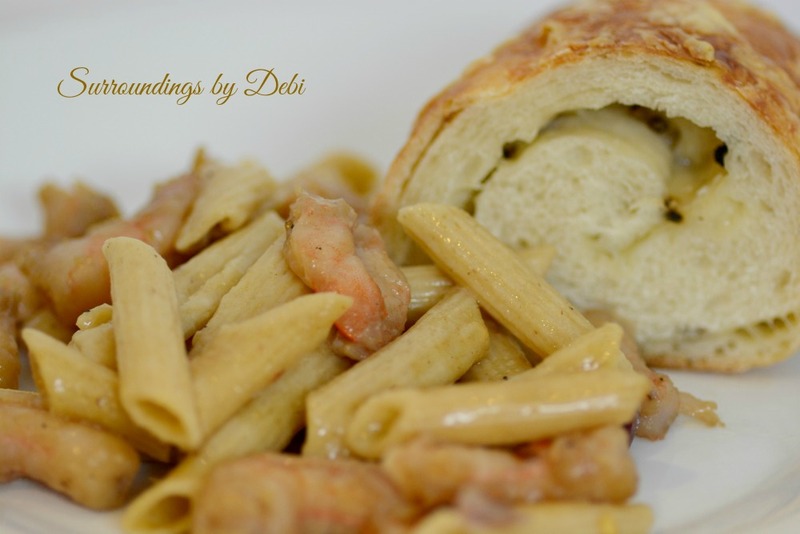 I served it with a small garden salad and loaf of asiago cheese and pepper bread. I am sure you will want seconds! 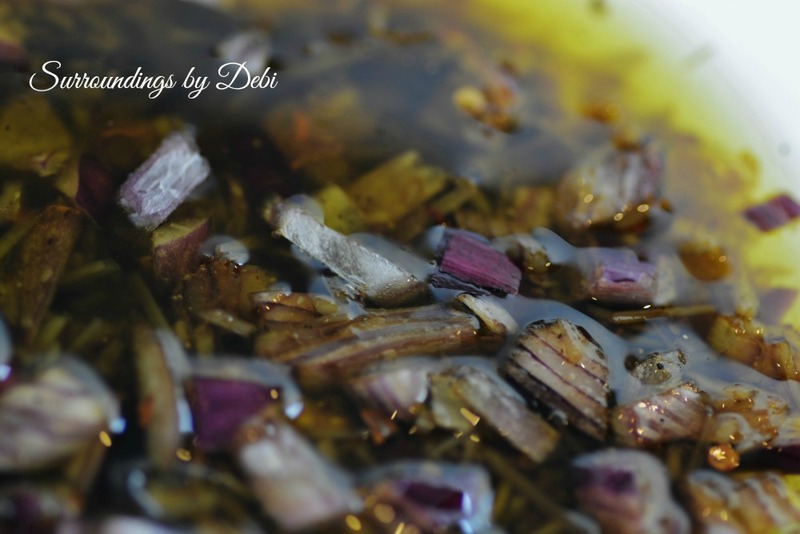 You can find even more simple recipes HERE! If you liked this simple easy recipe, thanks for sharing on Facebook, Twitter, Pinterest, Google + or all of them, simply by clicking the icons below. Pin it on your Pinterest Board! You can see what I’m pinning HERE! I often share posts at many wonderful sites you can find them HERE. 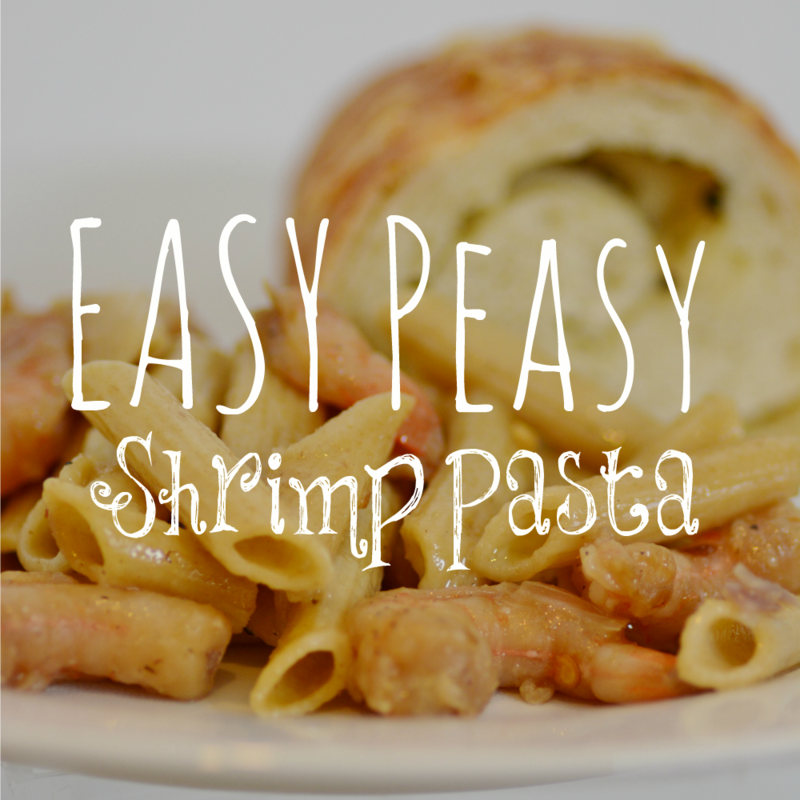 Make this easy peasy shrimp pasta dish for a wonderful meal! 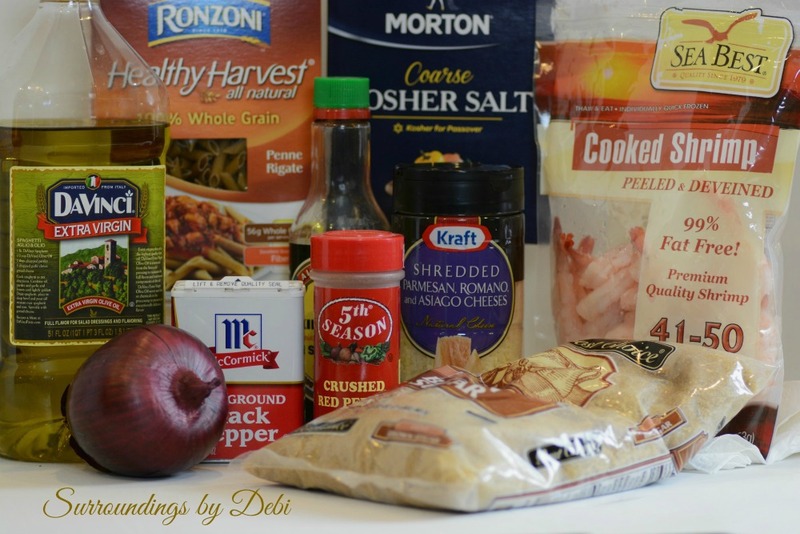 Place the all of the mixture in a large Ziploc bag and add the shrimp. 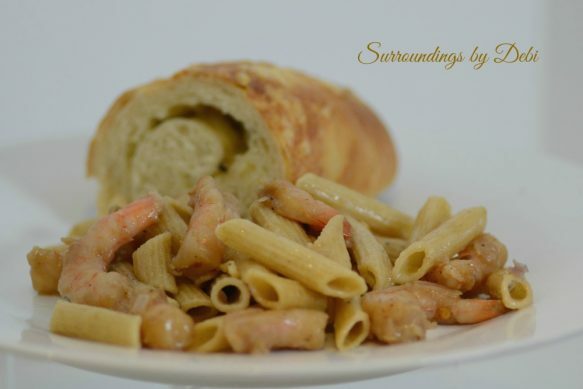 A beautiful dish of Shrimp Pasta! Hope you are having a great week and thanks so much for sharing with Full Plate Thursday. Thank you Helen. I love stopping by your parties! 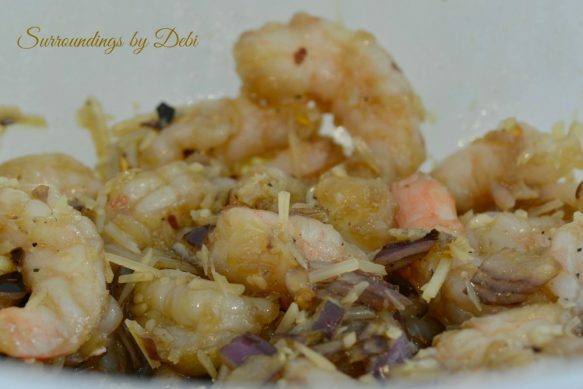 I used this recipe last weekend – delicious! Wonderful Jane! I love to hear when others use the recipes! I am so glad you liked it. Yum! 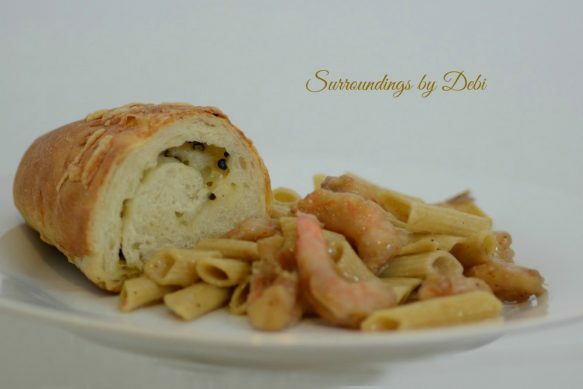 Shrimp pasta is one of my favourite ones! I think you will like this one Erika! – the best part – so easy! I agree Jas! Hope he likes it! Have a great weekend. Sounds wonderful! I’m going to make it this week. Marigene – It is a very easy recipe. 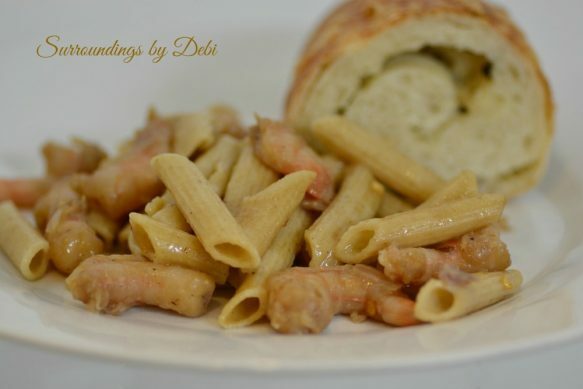 Thanks for stopping by for a visit the daffodil napkin rings you shared on your blog! I will keep my eye out for some of my own!